3 Bedroom Ranch in Castle Oak Estates! Great room concept sporting a large Kitchen with Granite tile counters tops, wood floors, gas cook top and black appliances and a huge pantry!! Oversized dining room has a slider to covered deck and wood floors. Living room has a gas fireplace, tray ceiling and custom ceiling fan. Master bedroom has a tray ceiling and ceiling fan. 5 piece bath includes a soaking tub, tiled shower, and a walk-in closet! Full sized, garden level basement is unfinished and ready for your design! 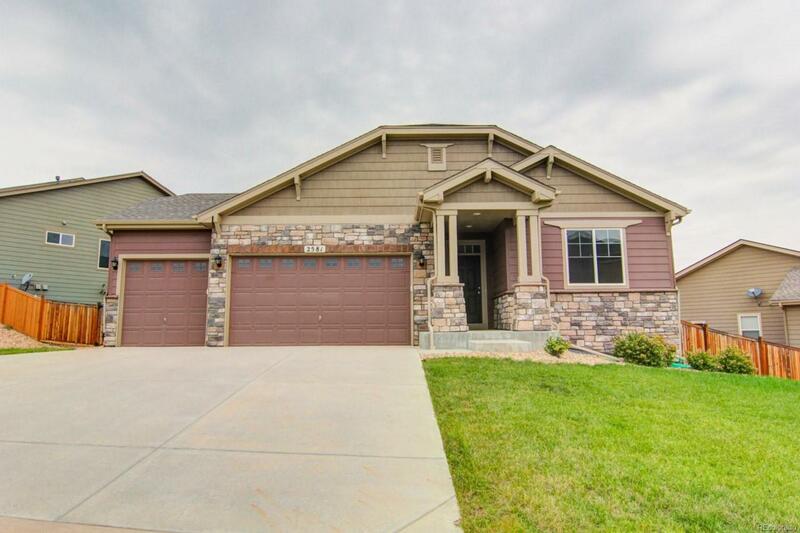 Close to open space, parks and schools with quick access to I25!